Description: Perennial, multi-stemmed and branching herb or sub-shrub to 6 dm tall; stem hairs stiffly spreading or bent downward; leaves narrow to linear-lanceolate, devoid of teeth, rough to the touch; inflorescence short, few-flowered, soft-hairy; floral bracts 15-20 mm long, unlobed, 3-nerved, red-tipped; calyx hairy, pale green to pale yellow-green below, becoming pale red to red-orange above the middle; corolla exerted from the calyx, green and glandular pubescent with red, glabrous margins, hooded upper lip (galea) shorter than the tube. Flowers June through October. Similar Species: Castilleja austromontana has villose or long, spreading hairs on the lower leaf surfaces while C. organorum has short hairs or is nearly glabrous. The galea of C. austromontana is as long or longer than the corolla tube. The mid portion of the calyx tube of C. austromontana is usually yellowish with contrasting reddish veins. The leaves of C. organorum are generally narrower and shorter than those C. austromontana. The widespread and sympatric C. integra differs in its somewhat lanate pubescence, longer leaves and flowers, and more compact, less branched aspect. Distribution: New Mexico, Dona Ana County, Organ Mountains. Habitat: Open to partly shady montane slopes and rocky canyons in piÃ±on-juniper woodland or lower montane coniferous forest; 2,000-2,400 m (7,000-8,000 ft). Remarks: Endemic to the higher elevations of the Organ Mountains. Reports of this species from the Black Range are from specimens that fall within the range of variation of C. austromontana. These two species are apparently allopatric. Conservation Considerations: Does not appear to be significantly threatened by the present land uses in its habitats. This plant is rarely collected and additional information is needed on its abundance and habitat requirements. Its response to fire has not been studied. *New Mexico Native Plants Protection Advisory Committee. 1984. A handbook of rare and endemic plants of New Mexico. University of New Mexico Press, Albuquerque. Olsen, M. 1965. 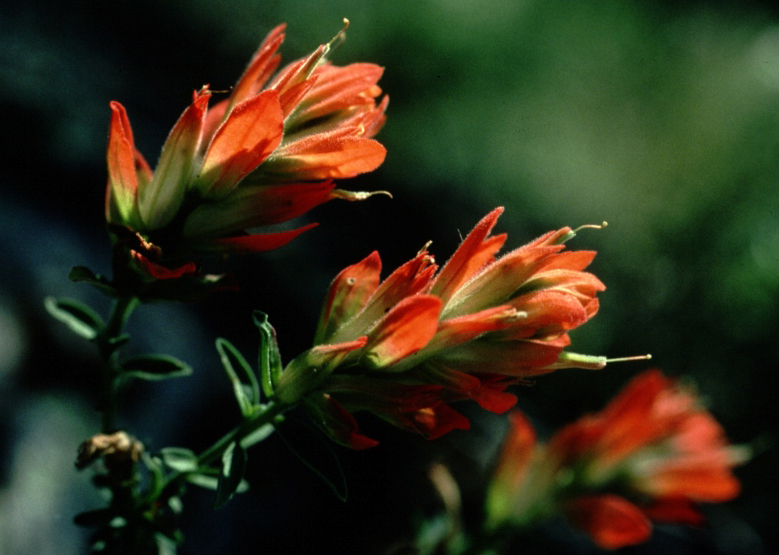 A systematic study of the genus Castilleja in New Mexico. Unpublished Masters Thesis, University of New Mexico, Albuquerque. Standley, P.C. 1909. More southwest castillejas. Muhlenbergia 5:46-49.